Toar Palilingan, 27, standing and Oral Bollegraf, 50, prayed before a Sabbath meal in Manado. 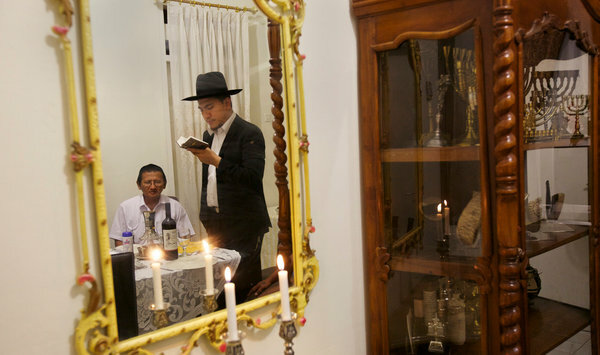 “We’re just trying to be good Jews,” Mr. Pallingan said. Voyaging the lateral connections between cultures and continents.